Watch us break the Guinness World Record for the Largest Handbell Ensemble Nov. 19, 2016 at the Mall of America in Minneapolis, Minnesota. Handbell Musicians of America is pleased to announce the return of the Associate Conductor to Distinctly Bronze. Applications are now being accepted for Distinctly Bronze East 2018 with Lee Afdahl and Distinctly Bronze West 2019 with Bill Payn. Selected Associate Conductors will work with the event music director to develop their massed conducting skills and rehearse and conduct one piece for the event. Lodging and travel expenses will also be provided. The application deadline is April 1. See complete details and application criteria here. You have just two weeks to return your application as a conductor for the Master Class in Conducting at National Seminar in Grand Rapids. Thirteen individual conducting students will work one-on-one with master conductor Dr. William Payn. Each will be assigned one piece to learn and conduct under Dr. Payn’s tutelage. Participating conducting students will form the choir that each will lead. The event concludes with a final showcase concert where each student will conduct their piece for an audience. Register now to receive the early bird pricing for International Handbell Symposium in Cairns, Australia this August. 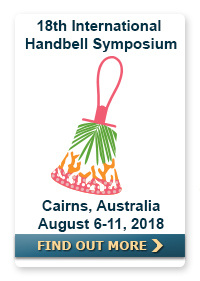 The 18th International Handbell Symposium will be held in Cairns, Queensland, Australia. It will open formally as the sun sets on Monday 6 August 2018, and concludes with the Gala Dinner on Saturday night, 11 August 2018. For the first time, the International Handbell Symposium will offer an International Handchime Festival and will be preceded by an International Handbell Symposium Youth Festival. A fabulous tour programme is also available for those not involved in ringing activities. Go to the Members Only site now to see new content in MemberExtras, our new member-only section created especially for sub-members. Find fun activities, articles, tips, and resources. All members are welcome to enjoy these new benefits, but they were designed with ringers in mind. We all know that “time flies.” 10 years, 25 years, even 50 years takes place “in the blink of an eye.” This month’s our featured piece AG35366 “Vivamente,” by Michael Mazzatenta celebrates 50 years of the founding of a handbell choir, the Handbell Ringers of Sun City, Arizona. Quite an accomplishment! Michael says, “As a longtime resident of Arizona, I had known their director Libbie Randels through various HMA events and we had also both served as Area 11 Chairs in previous years. I was very honored to contribute my part to their celebration with this commissioned piece. Michael said he was fortunate enough to hear this piece performed in concert by the group that commissioned it, the Handbell Ringers of Sun City. The word, Vivamente, literally means in “lively fashion.” “Vivamente” is Level 2+ and is for 3-5 octaves of handbells and optional 3 octaves of handchimes. It’s very accessible, with that distinctive upbeat style of Michael Mazzatenta. It has a festive and celebratory feel – perfect for any worship service or concert. There is an “ear worm” melody in the opening section. The middle section employs handchimes and lovely contrast. And the closing section returns to that “lively” feel with its ascending scale motive and a thrilling finish. It will make a wonderful addition to your church or concert repertoire. Michael Mazzatenta was born in Lima, Ohio and grew up in Warren, Michigan, a suburb of Detroit. He graduated from the University of Michigan in Ann Arbor with Bachelor’s and Master’s degrees and then a a doctorate from Arizona State University in Tempe. All of these degrees were in Organ Performance. He says, “I have always been involved in music since childhood and knew that music would be my life. 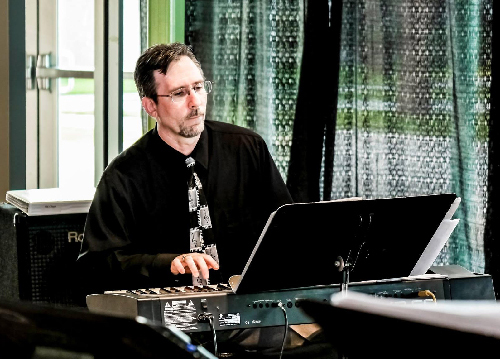 I’m currently an Adjunct Music Instructor at Texas A & M and also Organist at First United Methodist Church, both in Corpus Christi TX. 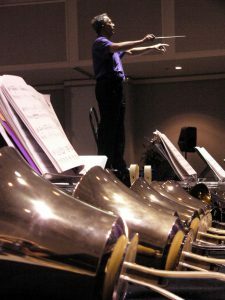 I became involved with bells through a previous church music director who needed someone to direct their handbell group. 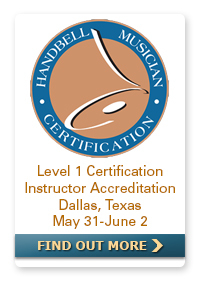 He says, “I had NO previous handbell experience, but the director was confident I could quickly learn! 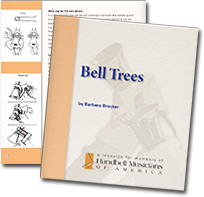 Once I gained some education and training through the Handbell Musicians of America, I delved into composition in order to write some music that would work for my group. My breakthrough into handbell music publishing came after winning the Area 3 composition competition in 2003 with ‘Fanfare Celebration!’” Since then, he has won composition contests in Areas 1, 2, 11, and 12. I hope you give a look and listen to Michael’s new original piece, “Vivamente,” AG35366. What a fantastic mantra for life – “celebrate in ‘lively fashion.” Each day is indeed a blessing to be enjoyed. Until next month, happy ringing!